Just received my personalized crystal case by Lydia of Cubic Bling (@cubicbling on Instagram). I wanted something fun but still fashion-y and my sister came up with this Nicopanda idea. A tribute to the amazing, genius, one of a kind, Nicola Formichetti and his recent departure from Mugler. And in case you missed it, last year I had a chance to be at an Audi Fashion Festival party hosted by Nicola himself. Click here for my Givenchy inspired Samsung S3 crystal case. 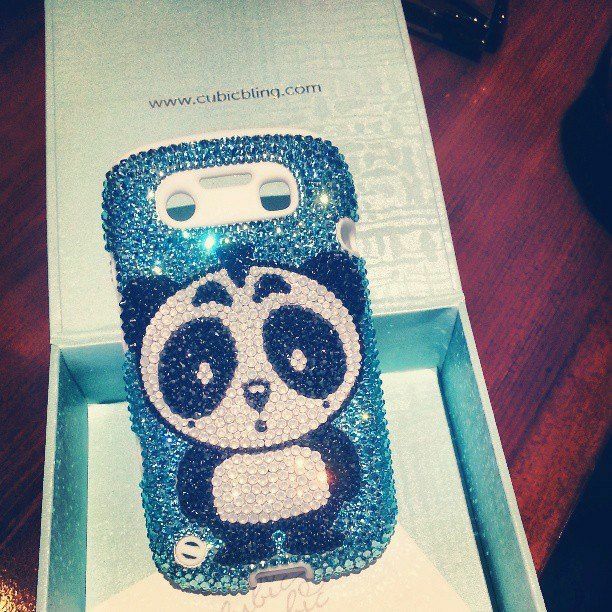 Such a cute case, and I just love anything embellished that sparkles!